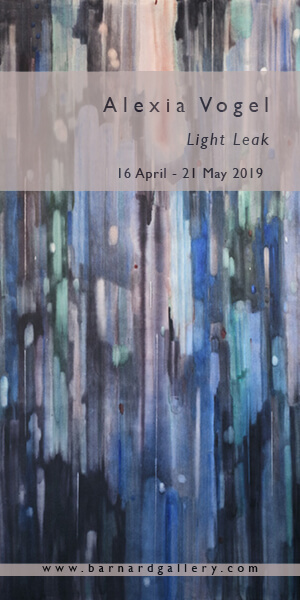 Bag Factory Artist’s Studios, in partnership with the Blessing Ngobeni Art Prize, is pleased to announce the opening of Simphiwe Buthelezi’s first solo exhibition, entitled ‘LALA LA’. As the recipient of the 2018 Blessing Ngobeni Art Prize, Buthelezi has spent three months in residence at the Bag Factory producing new work for this ambitious exhibition, curated by Chumisa Ndakisa. Simphiwe Buthelezi was kind enough to talk to ART AFRICA about the exhibition. Lala la means ‘come rest here’ in Zulu and the exhibition runs from 24 January to 22 February 2019. Simphiwe Buthelezi, IMPHUDUMAL_warmth, 2019. Straw mat in gilded frame. ART AFRICA: ‘LALA LA’ talks much about the rest as a way of people owning their own time again? Please tell us how this issue has affected you personally and how it feeds into your art and art-making process? Simphiwe Buthelezi: LALA LA’ is an idea which was birthed during a very turbulent time personally and it became a thread passing through many of my artworks and titles in my personal pursuit of healing, stability, and understanding. As a woman, there is an expectation to constantly be active so, a black woman at rest or in the pursuit of rest has always been a central idea in my work. I am also interested in exploring how tradition is used as a tool to justify the oppression of women. This form of oppression is immediately recognised due to the thin veil of patriarchy which has sutured itself into our African traditions. I communicate about the overlapping of culture which dictates the role and the worth of the black woman. The black woman at rest is a brave stance. I aim to empower and to pursue a sense of rest from all societal pressures and define what rest means for me as a black woman. During the residency at The Bag Factory I also empathised with the heavy sense of labour and bustle of Johannesburg’s inner city. So, Lala la became a reclamation of time, space and rest. Not only personally, but for the people who come to see it. Sifelani?, 2019. 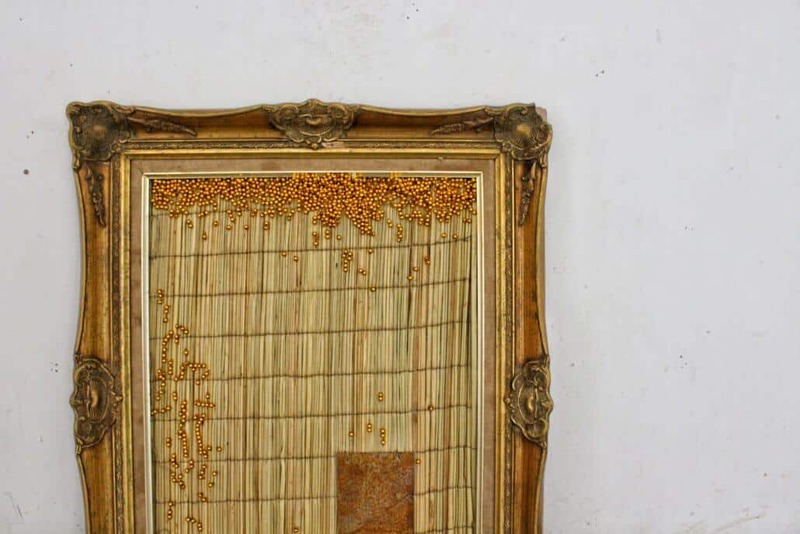 Straw mat, beadwork and oxidised metal in gilded frame. Tell us about the journey that led to your receiving the Blessing Ngobeni to realize your first solo exhibition. I needed an opportunity to solidify my contribution to the Arts and decided to apply for the residency because and it offered the right platform to develop this body of work. I’ve been participating in group shows and experimented with different mediums to sharpen my articulation of various ideas. I was then known as a printmaker; however, I knew I had a significant desire to work with incants (straw mats) to create art. I feel like I have been carrying this message for a while and needed the right opportunity. Winning the art prize came at the right time because female artists are at the forefront when our narratives are very much needed in society. 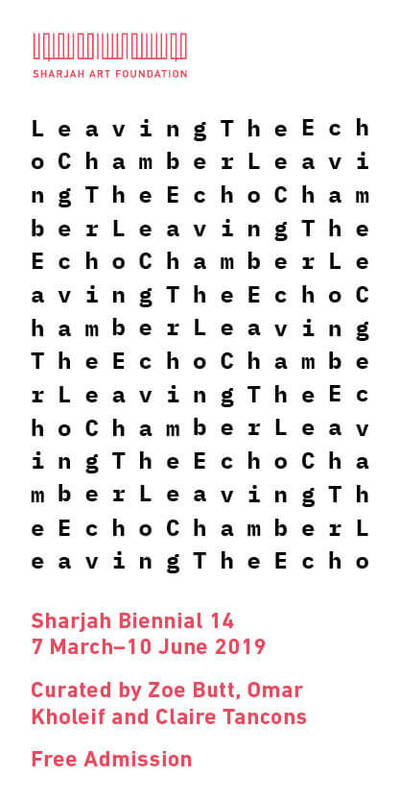 Is the work connected to previous work or ideas you’ve done before or was this you creating a new narrative and story? As I stated before, I am known for my prints and drawings which depicted the fragilities which I struggled with as a young black woman. I depicted this through an auratic presence created by the physical imprinting of my body which was combined with various explorations of collagraph print and collage to form peculiar portraits and figures. The nature of my work has always been instinctive, abstract and minimal, expressing the dynamics of power in a subtle manner, playing with the idea of passivity. My work has now shifted into a more sculptural form. Occupying spaces is what comes to mind when I engage with my process. 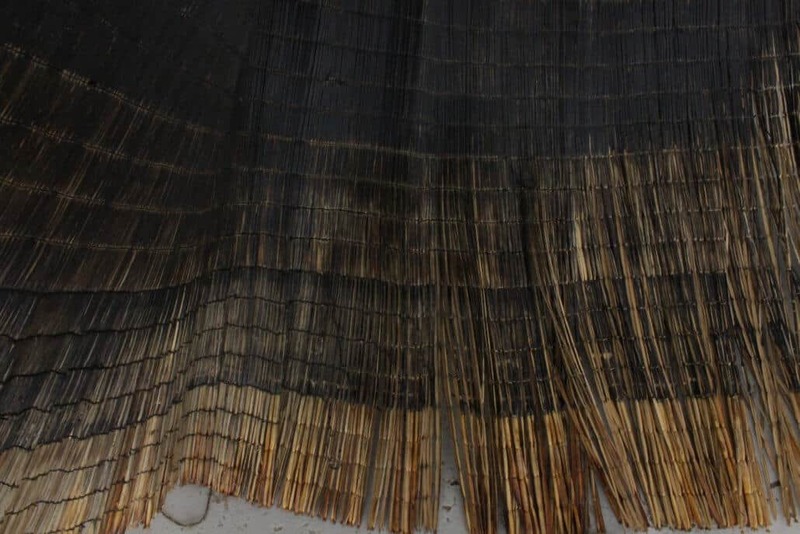 The incantsi/straw mat has become a personal metaphor of the woman, the woman as both sight and a site. This object takes up different forms, endures different forms of treatment. It is shredded, burnt, stained and stretched. This is an exploration of the endurance of an exploration of the endurance of material, but also my way of exploring my own endurance and the endurance of the female form mentally, physically, emotionally, and spiritually. The complex outcomes of this exploration have been intriguing to me and keep me interested in going further.